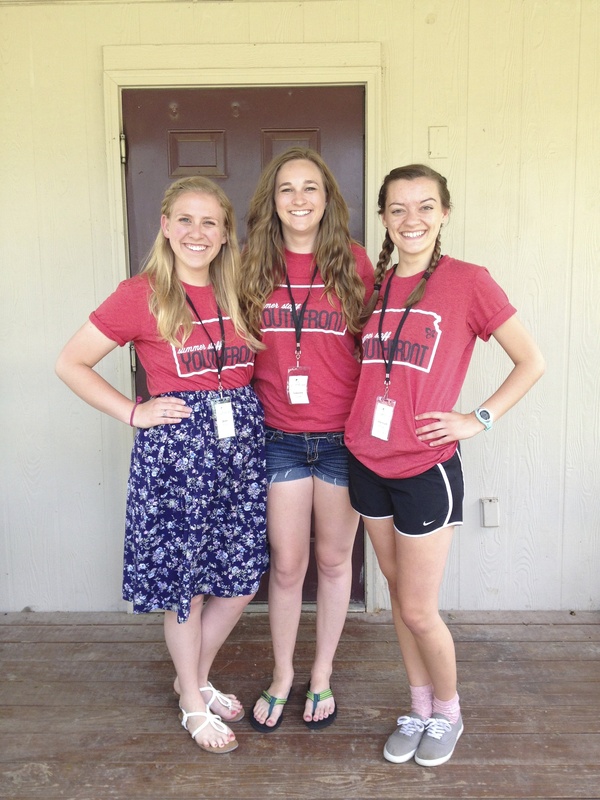 One thing I learned this summer is how to be unashamed of the Gospel. I learned to proclaim it each and every place I went. Sharing the Gospel was built into our schedule and the focus of our ministry. We were surrounded by opportunities and reminders to weave the Gospel into every conversation and every moment. It became second nature. And I want it to continue to be my habit to speak Truth. Because that is the most important thing I can do. Loving the children was good, serving Livada was valuable, but true transformation can only come from a transformed heart that is modeled after the Savior. And when I remove His goodness and His transformative power, my works are dead. And my desire is to continue to unashamedly speak of what the Lord has accomplished and to honor Him with my words and actions. That’s my biggest prayer for my return. Now that I’m safely home, I don’t want to become accustomed to comfort. I want to seek His will and desire and live out the calling I have received. I don’t currently have any job plans. Or grad school choices narrowed down. 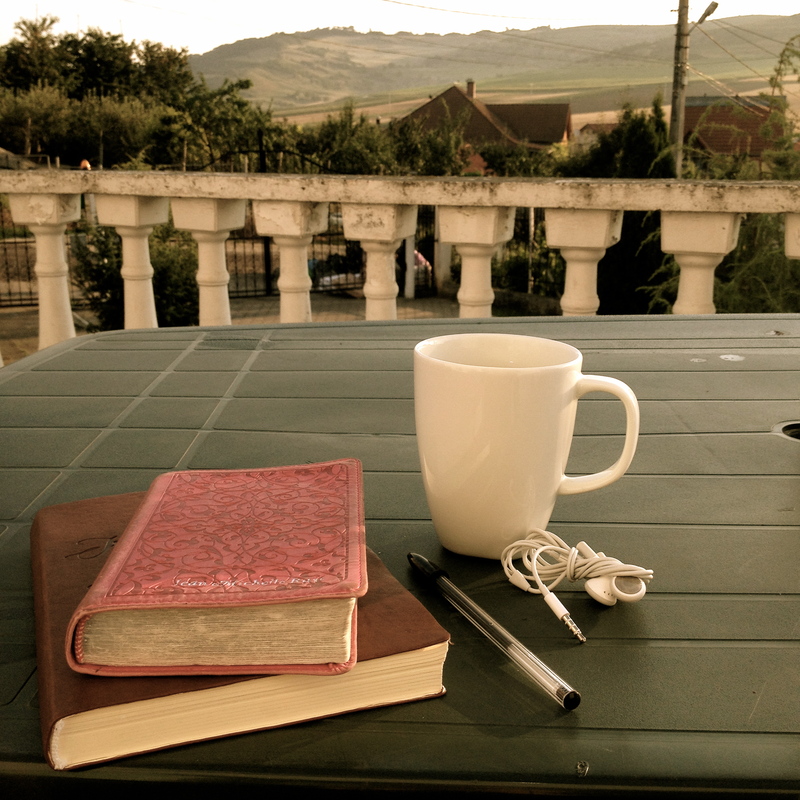 But my my goal is to follow His lead as I fill out applications, interview, and reflect on His provision. My life right now is a leap of faith. My future right now is truly in God’s hands. And while that is a scary concept, it is also an incredibly freeing one. A few Sundays ago, I reached a breaking point. I was angry. I was tired. I was confused. I was upset. I was depending on myself for strength. But I needed to depend on the Lord. “Lord, help me give up on myself. Help me stop focusing on my own flaws, my own shortcomings, my issues. Help me instead focus on your perfection. Your faithfulness. Your goodness. .. I’m not self-sufficient. I’m not able to do anything worthwhile without you. I pray that I would truly understand that and would act as if I believe that. Help me deny myself. Help it not be about what I want, but what you want. Help me see you first. I pray that I would put you first… Without you at the center, I can’t accomplish anything of eternal value. Help me seek eternal significance through your will… Cleanse my heart of all wickedness and cleanse me with your grace. Help me be filled with the Spirit so that my life will bear lasting fruit of deep value.. I give me to you. In Christ’s name, Amen. The work the Lord is accomplishing here with our camps and Livada’s other ministries is incredible. But it’s also hard. Terribly difficult at times. 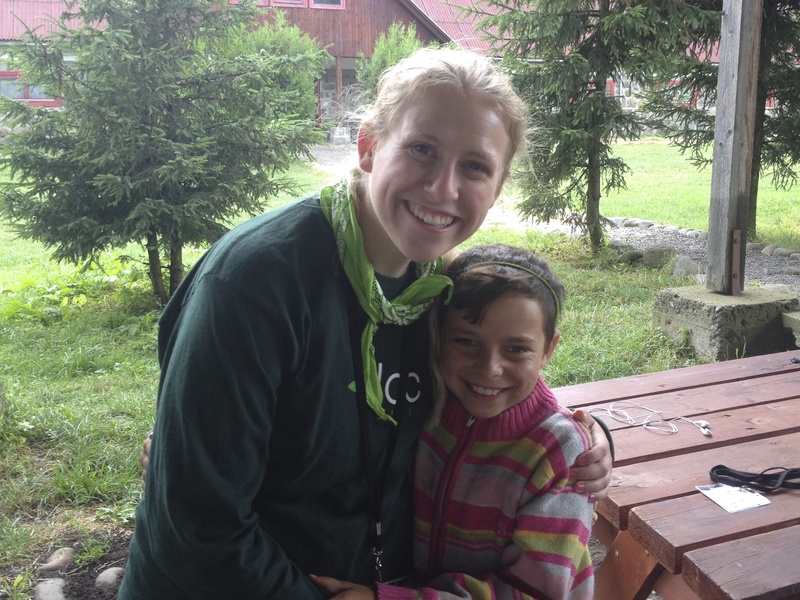 We face desperate situations daily and bear the burdens of our campers. Thinking about the trauma these kids have faced in their lives is heartbreaking. The energy it takes to make it through a day of camp is incalculable. However, God’s grace is abundant. And His patience is incredible. I needed to be humbled again by these experiences in order to learn once more how sufficient God’s grace is and how powerful he can be through our weaknesses. 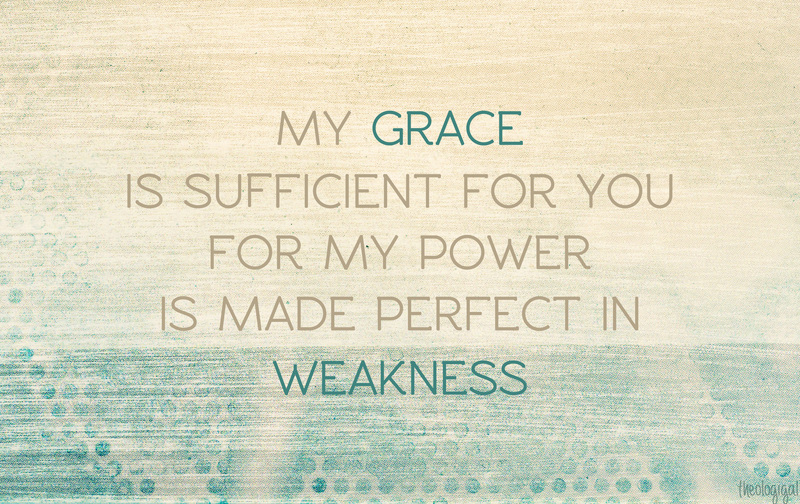 His power is made perfect when displayed through our inadequacies. He is more than adequate. He fulfills. He sustains. He strengthens. He upholds us. And these are things I need to remind myself of daily. In our intern bible study, we are reading through The Explicit Gospel by Matt Chandler. It’s about the Gospel and how it should remain the center of our faith throughout our journey of sanctification. Once we have been justified, He isn’t finished with us yet. In the chapter entitled “Fall,” Chandler speaks about Ecclesiastes and Solomon’s quest for fulfillment outside of the Lord. One of the most powerful, wealthiest, and successful men in history was unable to find true satisfaction in the things of this world. Ultimate joy comes from above. Ultimate satisfaction can only come from the things of the Lord. Often, we expect those around us to fill us up. We expect people and circumstances to make us happy. But that won’t ever happen. All too often, I find myself leaning on people and expected circumstances to provide me with happiness and meaning for my life. And all to often, I find myself disappointed and discouraged. Because this world is broken. And I can’t count on broken things to support me. Instead, I must learn to turn to the Creator. The one who is perfect. Whose power is demonstrated through my weaknesses. Who is glorified by His work in and through me. After all, my hope is found in nothing less. 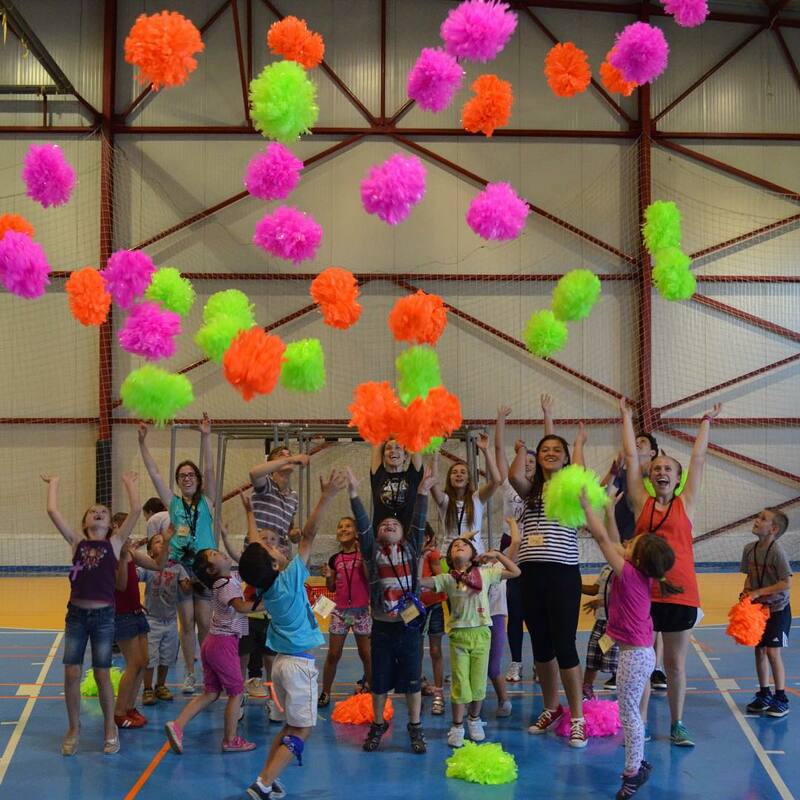 My next big adventure will be spending June-August working with Livada Orphan Care in Targu Mures, Romania as a camp counselor for orphans and gypsy kids. 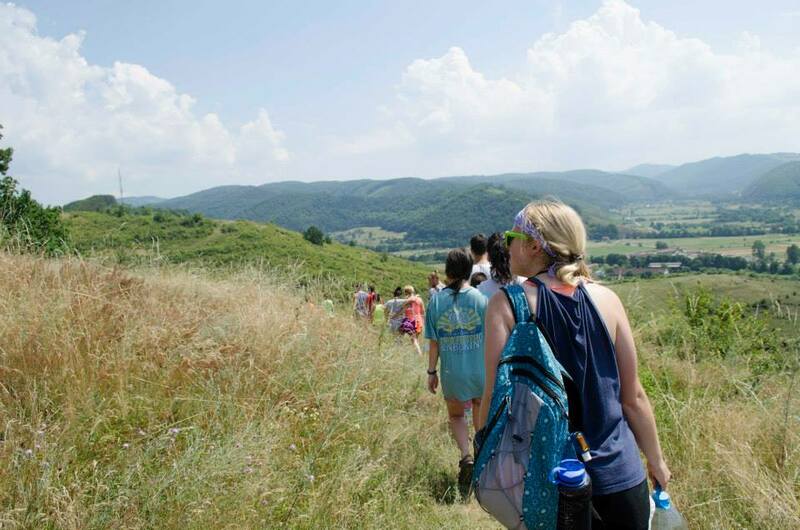 I’ll be joining up with 11 other interns, the Romanian staff, translators, and the American staff as we seek to spread the love of Christ and joy to these wonderful children. Dumnezeu este credincios. God is faithful. It’s funny to me that I chose this verse as my theme for this trip. I recently scrolled through this blog and realized how often I quote Romans 8:28. It is an incredible promise and reminder of the perfect plan of God and His provision. I think it’s a verse that I need to repeat over and over again. Loving God and following His purpose for my life causes everything to work together for my good. That’s all I need to do. Love Him. Follow Him. It seems simple. And it is. But it can be oh so difficult at the same time. Therefore, this summer will be an exercise of faith. I’m leaving with most of my undergraduate education completed, a partial idea about grad school, and some other things that could cause some complications. But He causes everything to work together for my good. I can trust Him and I should. So this summer I’ll be exercising my trust in God. I’ll be exercising my trust in those I love dearly to still love me upon return. I’m exercising my faith in the system Livada has set up to minister to the lovely children who need to understand that they are so incredibly dearly loved. I know this summer will stretch my faith. I’m leaving familiarity and traveling to a foreign land. This time I don’t even speak their language. But I can communicate love to them. I can pray for them. I can share my time. I can give them my attention. As such a verbal person (who does not happen to be fluent in Romanian), expressing God’s love to them is going to be a challenge. But I believe that it will be 100% worth it. If my experiences at camp, in Chile, and in everyday life have taught me anything, they have taught me that God is moving. He will use anyone who is willing to help accomplish His will. He will change hearts, minds, and the lives of those who follow Him. He will never leave us, nor forsake us. And so I’m leaving to go in faith. To be sent out to Eastern Europe. To be Christ’s hands and feet. I am coming to the children of Targu Mures to share our Father’s love. 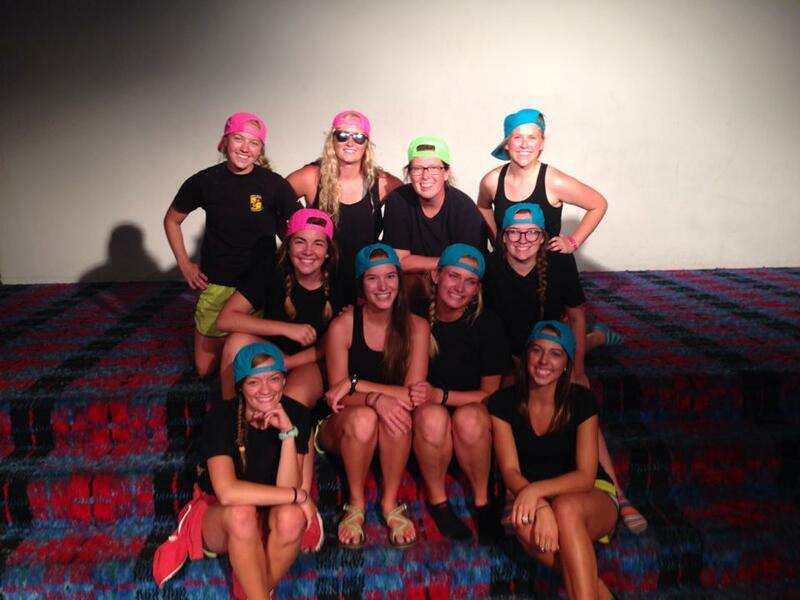 I spent this summer in Edgerton, KS as a cabin leader at Youthfront Camp West. Basically I followed around 12-20 girls (unintentional hide-and-seek), water-slid, worshipped, and learned how tired I can really be. I had an absolute blast. I tried new things and let go of some of my cares as I spent week after week investing in the lives of my campers and growing in my relationship with Christ and in fellowship with my fellow staffers (who are seriously some of the most incredible people I have ever met). 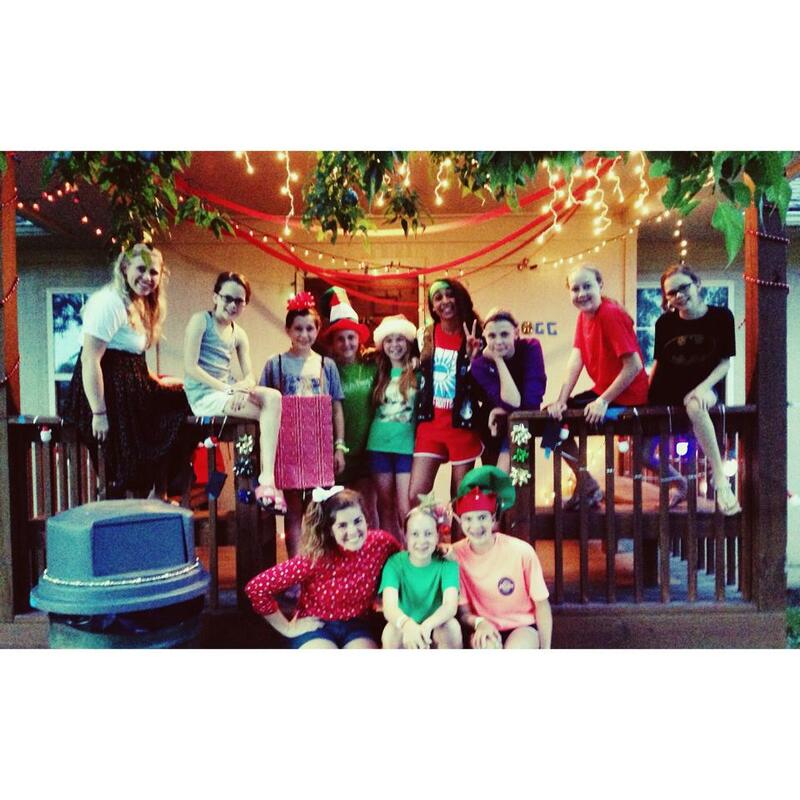 In regards to camp material, we celebrated Christmas every week this summer. WHICH WAS AWESOME, because I love Christmas. But it was also awesome because we were able to focus on what Christmas truly means. Instead of worrying about presents, we learned to focus on Christ’s presence. We focused on the idea of Immanuel, Christ with us from the beginning, in the present, and in the future. We began each session with John 1:1: “In the beginning was the Word, and the Word was with God, and the Word was God” (NIV). 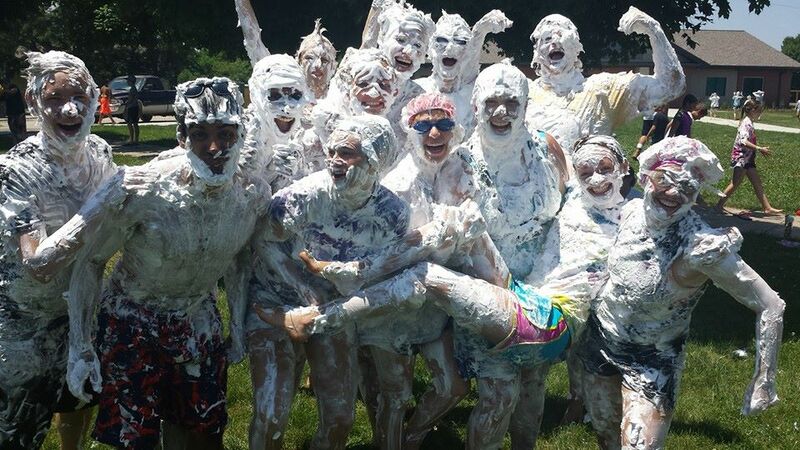 Each week, I was blessed as the girls in my cabins began to make connections and deepen their relationship in Christ. As we played games and read the Christmas story in the middle of July, some of them finally began to make their faith their own. It was wonderful to see and participate as we shouted praise to the heavens at night and quietly reflected in the mornings. Watching 12-20 girls each week delve deeper into their relationship with Christ was an incredible blessing. Besides thankfulness for the growth I witnessed and all of the wonderful experiences at camp, I’m leaving this summer with an awareness that life consists of waiting. As humans, we are constantly caught in the in-between. We wait for the next semester, the next year, to get married, to have kids, to find a real job, etc. Our lives are constantly in the middle. This summer, God showed me the importance of the in-betweens. In our waiting and uncertainty, we learn to trust Him. We learn to surrender our fears and run to the arms of our Refuge and Strength. As it says in 1 Peter 5:7, “Cast all your anxiety on him because he cares for you.” Many of the situations I faced at camp and at home this summer were outside of my control. I had to learn to trust God with the uncertainty and anxiety. I was constantly reminded of how His timing is perfect and how He makes everything beautiful in its time (Ecclesiastes 3:17). I think that summer is a perfect illustration of an in-between time and this summer I learned anew the importance of patience and trust in God. After this summer of crazy costumes, blisters, sore muscles, tired eyes, a newly-formed coffee addiction, a group of supportive friends, and a new perspective on my identity in Christ, I have returned to the life of a college student. I’m typing this from my dorm room as the resident assistant of 3A in Shocker Hall. I’m excited for the new opportunities and for the application of what I learned this summer as I rest in the fact that Christ was with us from the very beginning, still dwells with us in the present, and will also be there in the future. 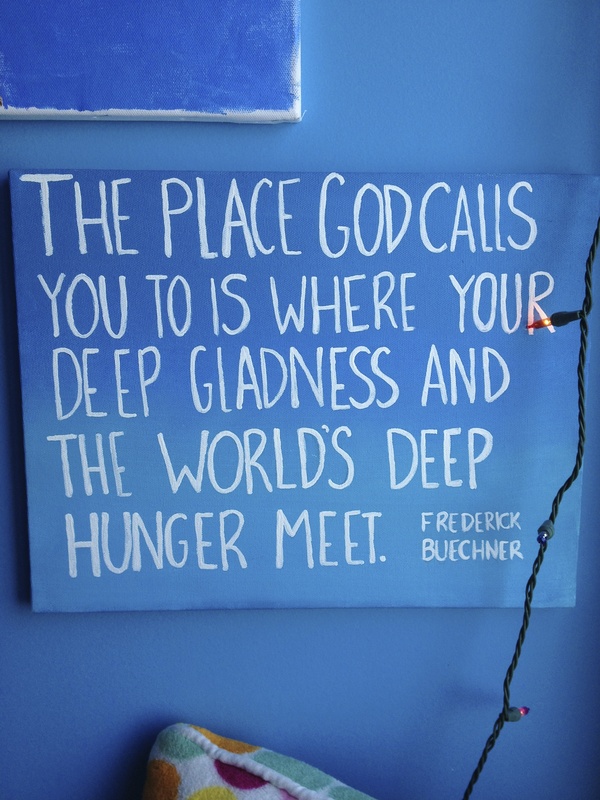 I believe that there is an intersection between my deep gladness, God’s calling for my life, and the world’s deep hunger. One of the world’s deepest hungers is the cry of the orphans. I personally feel a call to answer the cry: to defend the fatherless and help them find forever families. 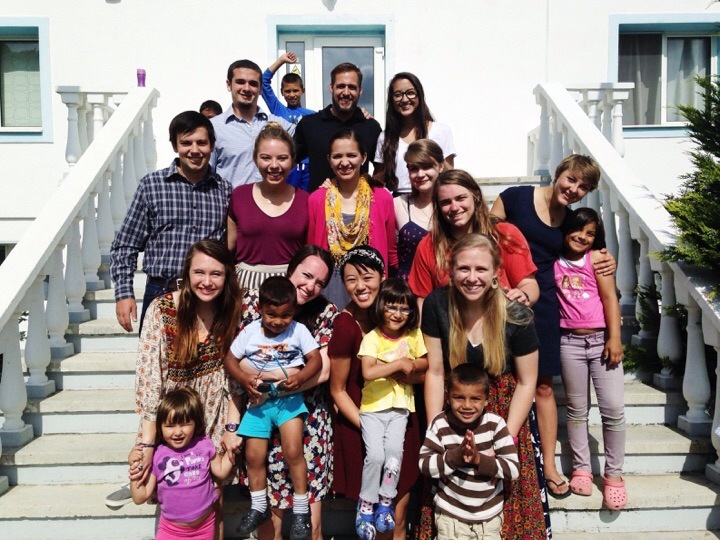 I went to Chile for my study abroad with missions because the struggles of these children spoke to me. I went to pour into their lives, to tell them that they have value. I left deeply impacted and hungry for change. While in Chile, I became fast friends with a girl at the girl’s home for orphaned and abused children. I was her favorite tía (aunt, the name they call all caregivers) and we spent time together every Wednesday. We shared a tear-filled goodbye our last day together as we realized that most likely we would never see each other again. I was returning to America, my home and place of comfort. I was leaving her behind. The difficult goodbye makes me think of the possibility of the end of the need for goodbyes for these children worldwide. And this is where everything intersects. These children hunger for families, God calls us to love and defend the orphans, and I find deep gladness in adoption. This deep gladness is much more than happiness; it is where my joy comes from. Hearing others stories about adoption, playing with kids born from all over the world and thinking about the new life and new hope that comes with adoption is what gives me great joy. I chose to become a social worker in order to find forever families for those who don’t have them. The opportunity to give someone a new chance and a new home is thrilling and brings me great joy. My happiness comes from the thought that I may one day be able to change the life of orphans. It may be through adopting them myself, it may be through finding them a loving home, or it may be through changing legislation to re-open closed countries to international adoption. These children need hope and love. With adoption we can give them the possibility of a new life, while deeply impacting our own. This blue canvas with crisp white letters serves as a reminder of why I’m in college, what I hope to do for the rest of my life, and the potential to change the lives of some very special young people around the world. Serving and caring for others while following Christ is where my ultimate satisfaction and joy come from. One of my friends shared a bit of his testimony a few weeks ago at Challenge. His walk and friendship has inspired me in many ways and that Thursday, I feel like God used him once more in my life. He shared a verse that had been part of my devotional that morning and one that has been close to my heart for quite some time. God does cause everything to work together for our good. He has a plan that surpasses our wildest dreams and imagination (Remember Eph 3:20? – my theme verse for Chile). God has changed my life for the better and has led me to some incredible moments. 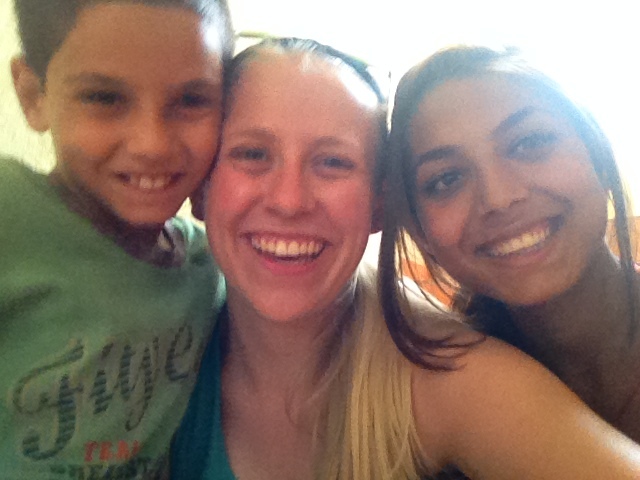 I spent a semester abroad, loving the fatherless and learning what it means to be loved by our Heavenly Father. I met my best friend after I returned from Chile and she returned from Africa. I’ve grown closer to some incredible Christ-followers, and have also grown closer to Christ. I spent my spring break interpreting for Northridge in Agujita, Mexico. I’m going to Chicago at the end of this month to learn more about Christ and the cause for the fatherless. So much of my life is falling into place. I’m not only learning and discerning where God has a plan for me, but also hearing about the incredible things He is doing through my friends. While on my way to Mexico, I met someone from my graduating class at East who sees a need for Christ in a specific genre of music. 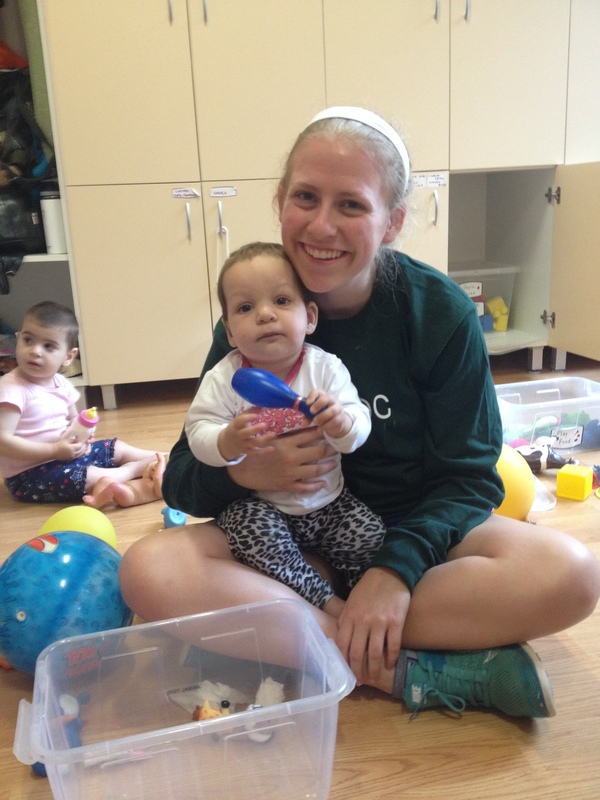 I talked to another person who goes to Northridge who feels called to counsel missionaries. 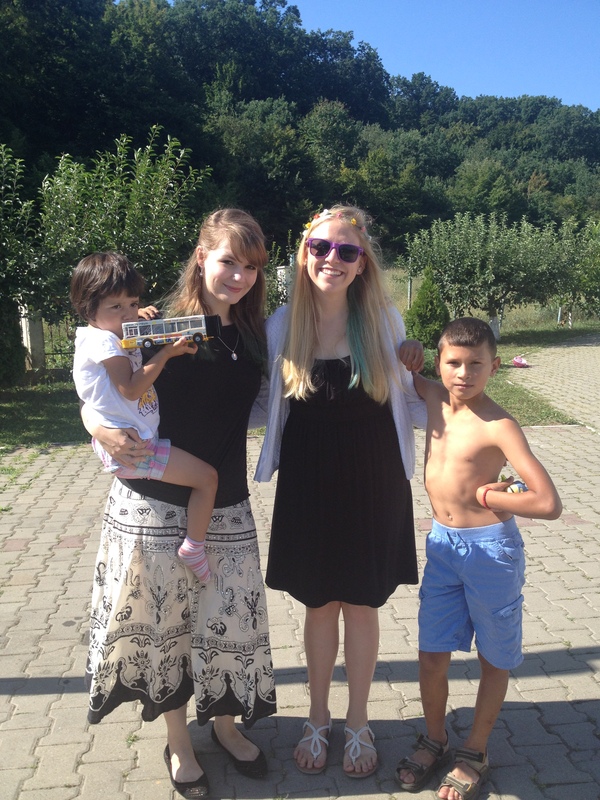 I have a friend with a heart for Africa and a friend with a desire to love Romanians. God is doing incredible things. He is moving. Recently, I feel like God has especially shown me how He has been working in my life and through my studies. I found out that not only can I graduate in four years (or less! ), but that I can do so with a double degree and another experience abroad. I’m checking off the last few requirements of my major and drawing closer to graduation. It’s a nice place to be in. I have options and I have opportunities. Now I just need to trust Him to take control and put everything together for His purpose for my life. I think it’s important to remember that God’s plans don’t always look like what we think they should. Often, they turn out different than our plans. But I think that at that point, we also have the opportunity to realize that His plans are better than ours. Since I graduated high school, the longest I have lived anywhere is 6 months. I lived at home that summer, the dorms for a semester, Chile for a semester, back to my house for a semester, and now I’m getting settled in with a friend at a rental basement (which will also only be for a semester). It’s strange to think that I’ve lived these significant chunks of my life in so many places. It’s a bit of a hassle to pack up things and get settled, especially when you know that it is only going to be for a few short months. However, I also think it’s kind of awesome. I’m slowly learning to streamline my possessions. I’m learning how to live with many different kinds of people, in different environments. I’m learning flexibility and comfort with change. Here’s to new beginnings and opportunities. I feel like my main desire is to be more intentional in my relationships. To seek deeper friendships and to strengthen my reliance and trust in God. I want to go deeper. I want to be truer. Depth is often overlooked in our world of fast-paced communication. We barely skim the surface of the people we consider friends and we rarely share our true selves. We simply don’t have time. But I want to make time. People are incredibly important. Some songs and quotes have really spoken to me recently and I want to use them as reminders for my greater calling. In Matthew 13, in the parable of the sower, we are warned that the seeds which failed to grow deep roots withered under the sun. I don’t want to whither under the heat. I want to live deeply. I want to grow in Christ and build my life on Him. I also want to draw closer. God’s love is incredibly sweet. His heart is full and bursting with love and compassion. But we aren’t supposed to simply receive, we are asked to pour out His love to others, filling them up with joy. I want to live under God’s call and guidance. I want to go deeper. 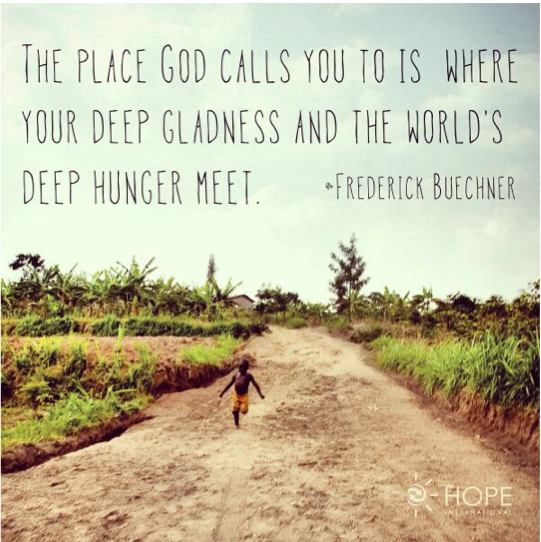 I want to work towards satisfying the world’s deep hunger. I want to go further than my feet could ever wander. So, my dear friends, I am asking for your help as well. Help me go deeper. Help my love be truer and my relationships stronger. From an early age (mainly freshman year of high school), I was told that I needed to build up my resumé. If I wanted to get into college (and with good scholarships), I needed to be “well-rounded.” But what exactly is well-rounded? In my 14-year-old brain, I figured that “well-rounded” meant that I had to do as much as humanly possible in as many different disciplines as well as I could. But no one told me to stop. No one told me that I was doing too much. I thought I was doing what I was supposed to do. So I continued the tradition my first semester of college. But then I studied abroad and experienced life outside of the frenzied Theatre world and outside of the rushed American life. I lived in a warm, easy-going, slow-paced, and relationship-based Latin-American culture. And it was a breath of fresh air. A time to relax. Reflect. Enjoy. Then I came home. If you’ve ever lived abroad (or away) for an extended period of time, you know the difficulties of readjusting. You’re different, but people expect you to be the same. And it’s hard. So I got sucked back into the American lifestyle. But I didn’t like it. I missed the freedom and leisure time of Chile. I missed living without a schedule some days. And I struggled to answer it directly. But I began to see what my issue was. My full schedule was a distraction. A time filler. Something to make me “good enough.” Something I used to prove myself to others. I based my self-worth in my titles. We can blame our credential society for some of that. But we also can blame ourselves for some of those attitudes. We encourage people to get involved, but don’t seem to have an upper limit. We place value on activities, and not on relationships. But what really matters at the end? The strong resume, or the people you poured into and those who poured into you? I personally think relationships trump activities. Everyone we interact with is an eternal being. We have the power to influence which side of eternity they get to experience. Every snub or misplaced word can cause pain. Every encouraging word or time spent listening can embolden and give joy. So I think in the midst of this blessed time, it is important to reflect on our interactions with others, or lack thereof. Are there activities in your life that impede your ability to serve our Lord and Savior? Are there things you need to spend more time doing? Are there extras in your life that only bring you down? Don’t be stuck overachieving with no true purpose. If you are searching for value, look in God’s eyes. Meditate on Psalm 139. You are a delight to God. Find your worth in Him.